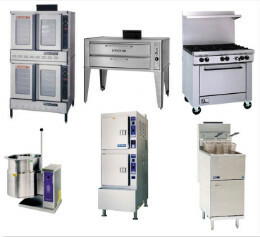 Commercial Kitchen Repairs, Inc. specializes in the maintenance and Repair of all commercial food preparation equipment as well as dishmachines and specialty equipment like conveyor ovens, combi ovens, rotary ovens and so much more. Just ask us! We give expert service on dishmachines like Hobart and all other manufacturers of warewashing equipment. We know conveyor ovens. From Middleby Marshall to Lincoln. We service conveyor ovens in Domino’s, Pizza Hut, Papa John’s, Red Lobster, and Pizzeria’s. CKR works on specialty equipment in McDonald’s, Burger King, Arby’s and many other restaurants and fast food establishments. … And So Much More Just Ask us! Get $25 towards your next service if someone you refer becomes a customer of CKR, Inc.
"Finally a Service Company that Understands the Food Service Industry"
You need it fixed now. We understand!